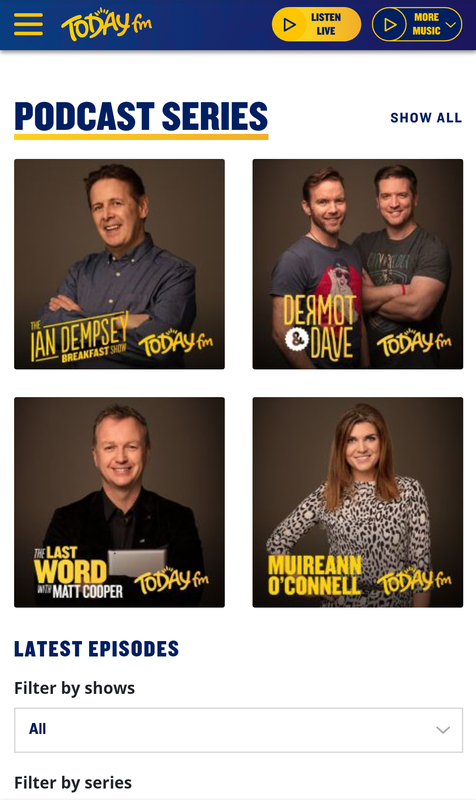 Broadcast all over Ireland since 1997, TodayFM is one of the most well known names in radio in Ireland. 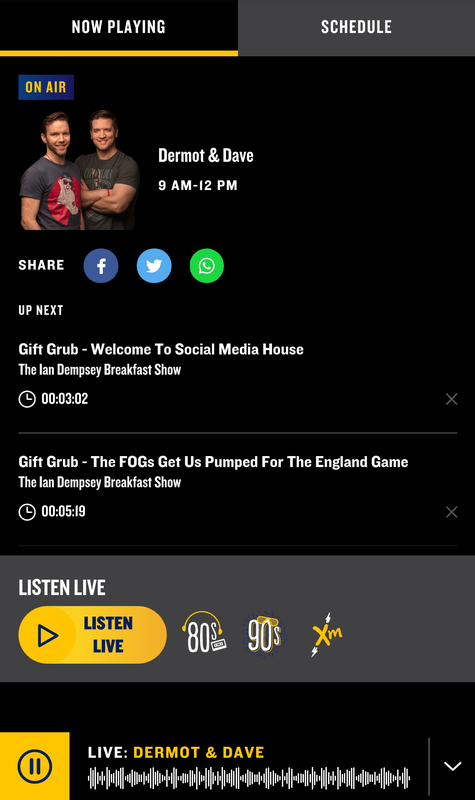 With a mix of news, music and current affairs, the station is the no. 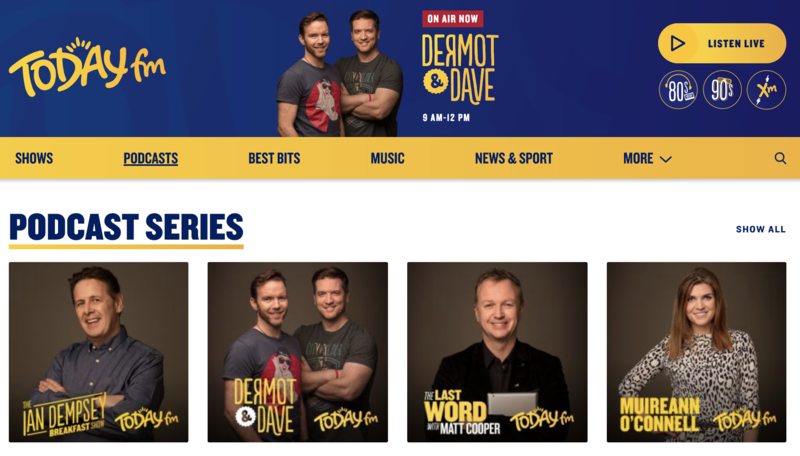 1 station for 25 - 44 year olds in Ireland. 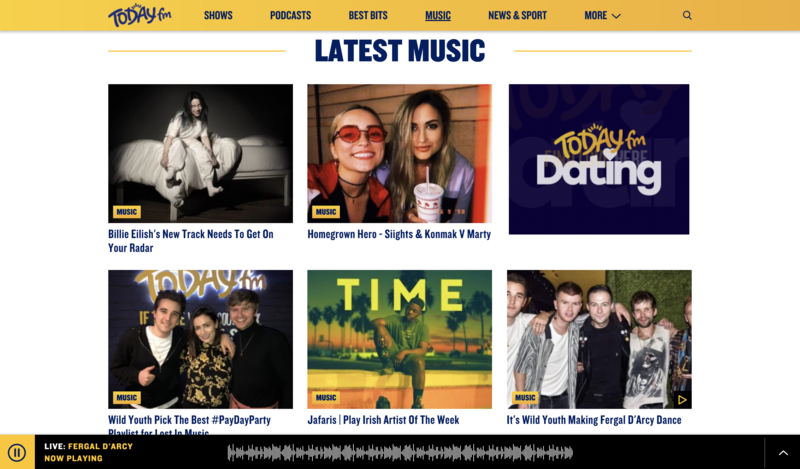 Square1 were commissioned by TodayFM to design & develop a cleaner, elegant aesthetic and a mobile responsive website with graphic elements, fonts and colours that were more be-fitting to the TodayFM brand. 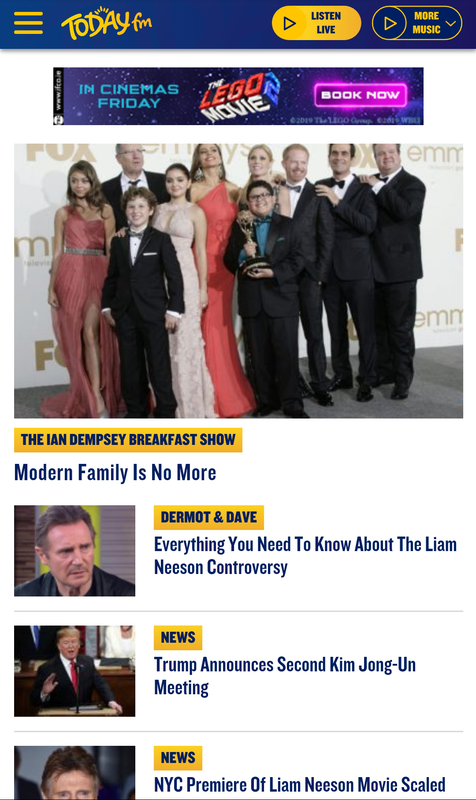 The new design and layout is fully responsive across all desktop, tablet and mobile devices. 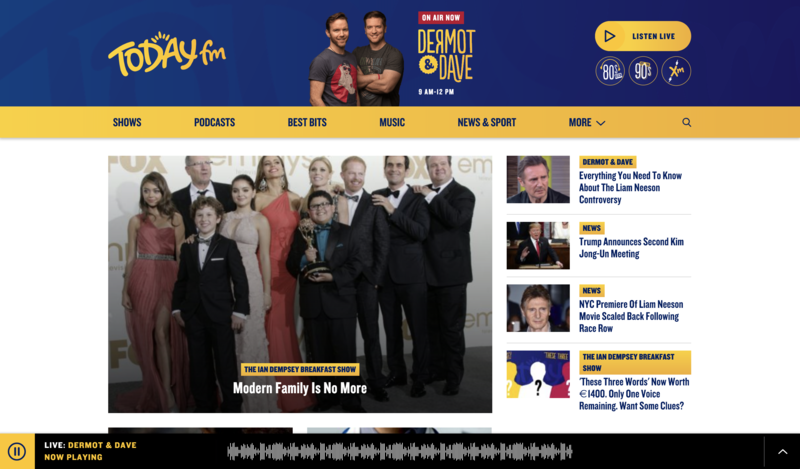 The site is also fully integrated with Google DFP ad serve, which allows the team at TodayFM full control over site wide sponsorship integrations.